Comedy series ToonMarty is heading to CITV in the UK after a deal inked with Barcelona-based distributor GoldBee. 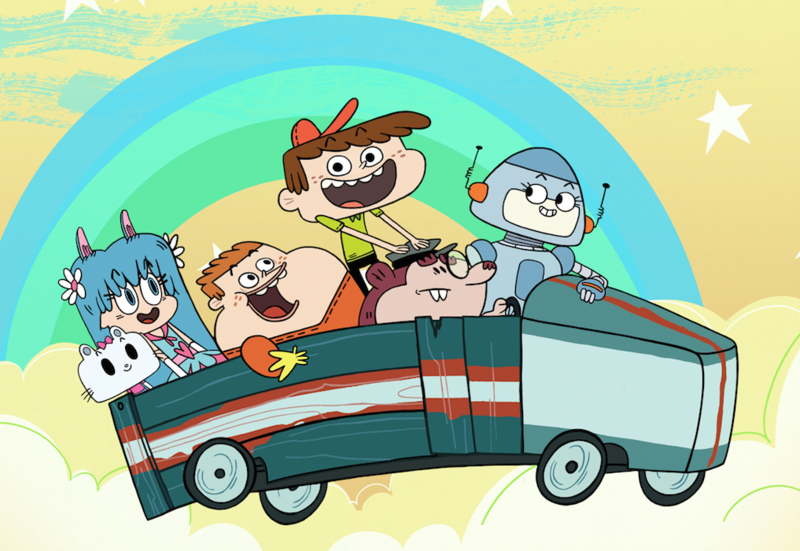 Produced by Montreal’s Sardine Productions, ToonMarty, was originally commissioned by Corus Entertainment for its French and English Teletoon networks and premiered on both in Canada last May. The deal follows the recent pick up and successful launch of the show on Nickelodeon International, which started to roll out the series last May. Christophe Goldberger, GoldBee’s managing director, said: “We are happy to see ToonMarty expand its presence with such a great partner as CITV. The tone of this outstanding comedy resonates with kids globally, combining hilarious slapstick elements with witty dialogues”. Darren Nartey, ITV’s programme acquisitions executive, said: “We are delighted to be the home of Toon Marty in the UK. It is a great comedy with fantastic animation, which will appeal to CITV’s core audience. The property is supported by The Bell Fund, The Canadian Media Fund, the CPTC, The Shaw Rocket Fund and the SODEC.